Interspecies mashup could bring cures for deadly diseases, but not everyone is on board. One of the biggest mysteries of human life is how we develop from a tiny ball of cells into a being with bones, muscle and organs. The process starts inside the mother’s womb shortly after conception, but legal and regulatory restrictions on research involving human embryonic tissue have stymied scientists’ efforts to explain the process. Now scientists have found a workaround. By transplanting human embryonic cells onto chicken embryos, researchers at Rockefeller University in New York City have created a hybrid embryo that they say will bring insights into fetal development — and perhaps lead to new cures for several diseases — without bumping up against the so-called “14-day rule” that prohibits research on human embryos more than two weeks old. The popular media blasted the interspecies mash-up, with one headline reading “Half human-half chicken abomination created in US lab," even though no one is talking about creating a race of human-chicken beings. And the scientists defend their work, saying the hybrid embryo will help them understand why some human cells grow into the brain and nervous system, for example, while others form the trunk and limbs. But not everyone is on board with the idea of mashing up cells in this way. For now, it seems likely that scientists will pursue research on the human-chicken hybrid embryos. The Rockefeller scientists plan to use them for research on Huntington’s disease, a deadly neurological disorder. 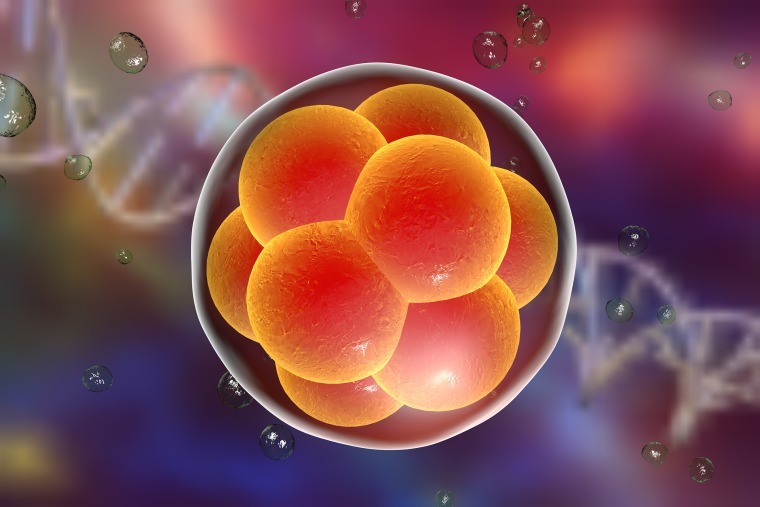 The mutant gene that causes Huntington's is already at work in the earliest stages of embryonic development, and the scientists say that understanding how it affects the first few weeks of life could lead to new treatments, possibly within a decade. The scientists also hope to use the hybrid embryos to find cures for other complex diseases caused in part by mutant genes, including amyotrophic lateral sclerosis (Lou Gehrig’s disease) and Alzheimer’s. To study Huntington’s disease, Brivanlou is planning to insert the mutant gene into hybrid embryos to see how their subsequent development differs from that of hybrid embryos that lack the gene. Ultimately, he hopes it will be possible to identify drugs that might counteract the abnormal developmental processes and enable humans with the gene to develop normally. Want more stories about biological breakthroughs? Can this weird shark show us how to live for centuries?